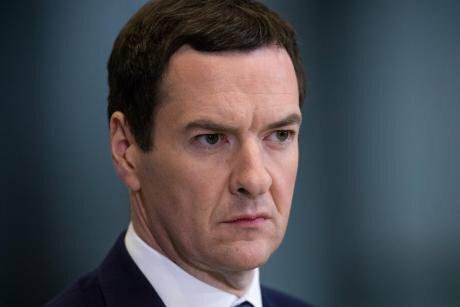 George Osborne’s London Evening Standard has abandoned the scheduled launch of its controversial £3 million campaign, just days after openDemocracy revealed companies such as Uber and Google had been promised “money can’t buy” news coverage as part of the lucrative deal. openDemocracy understands that the London 2020 project was planned to be given a fanfare launch in the Evening Standard today. It was to include high-profile, high-impact announcements and ambitious promises on housing, tech, and measures to combat pollution scattered throughout the paper. Six signed-up partners, each paying £500,000, had been promised positive news and “favourable” coverage that would continue “for the next two years” as part of the 2020 deal. A “transformation of the capital” into an “economic powerhouse, environmentally and socially sustainable and fit for future” was part of the “editorial” launch. However when the first copies of the paper arrived at rail and underground stations this afternoon, there was no mention of the project. Although Evening Standard’s owners ESI Media say they have not ditched the project, there is now no firm launch date. Since openDemocracy first revealed details of the controversial 2020 deal last week, there has been a storm of outrage over the project, which effectively sweeps away the ethical dividing line between independent editorial and advertising. openDemocracy asked ESI Media to comment on why the planned London 2020 launch had been called off, if any commercial partners had pulled out of the project, and whether Osborne had been forced into a complete rethink given the public outrage and widespread negative coverage across UK print and broadcast media. openDemocracy has now learned of other developments which could spell trouble for ESI. Back in 2016, ESI sold the i newspaper to the Johnston Press group. As part of that deal with Johnston, the i signed up to a two-year deal that gives it access to content generated by the Evening Standard and the online Independent. openDemocracy has now learned that the “i-Standard-Independent” content deal remains in place, but that negotiations over its renewal have now stalled. A spokesman for Johnston Press said they would not be commenting on whether there was a plan to renew the content deal or not. Outrage over the 2020 project, and the negative press generated by openDemocracy’s investigation, has seen Osborne’s editorship rendered toxic by many industry analysts who see the ‘church-state’ divide between news and advertising as critical to the future of newspapers. The extent of the financial difficulties being faced inside ESI is not fully known. There are new reports that the local television station, London Live, which barely registers on audience-research evaluations and continues to lose ESI millions each year, has been put up for sale. Both the tech-giant Google and the international taxi-app firm, Uber, though formally asked to comment on their decision to take part in the London 2020 project, have so far remained silent. However the co-leader of the Green Party, Caroline Lucas, scrutinised the Standard’s 2017 coverage connected to a commercial deal with the Swiss-agri-chem giant, Syngenta. She said the ESI claims that it had never crossed the ad-ed ethical divide did “not stack up”.